Apparently the Xiaomi locks are very successful, at least in China, since we are already on the umpteenth iteration of a smart system to protect your home. 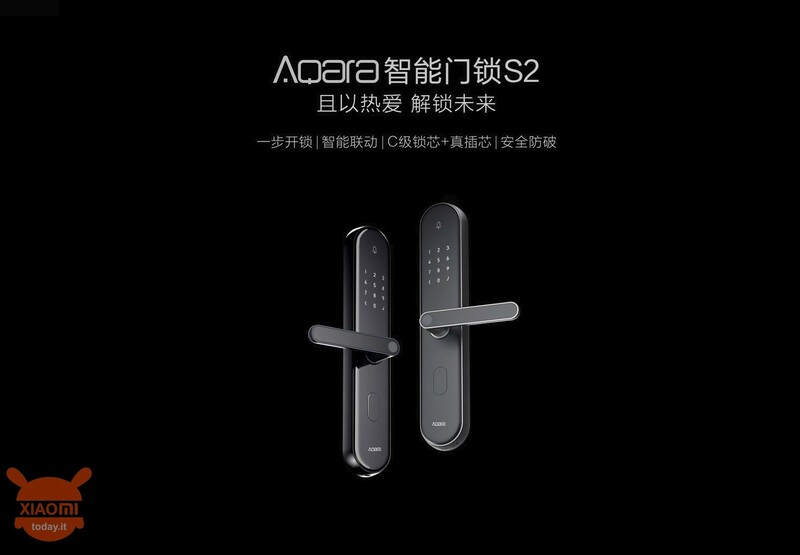 Today a new lock has been launched on the Chinese giant's crowdfunding platform under the name of Xiaomi Aqara Smart Door Lock S2 in the Titanium version. 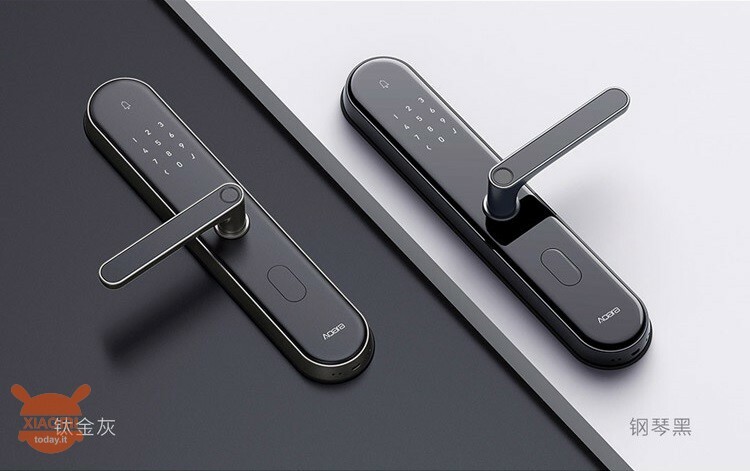 The new Xiaomi Aqara Smart Door Lock S2 arrives with some aesthetic differences compared to the first generation. The shape has in fact changed from the squared S1 to a rounded object that is more pleasing to the eye. This smart lock can be unlocked thanks to a special technology called "live fingerprint technology" which consists in the integration between a semi-conductive fingerprint sensor of the Swedish FPC present in the handle itself, a software that allows recognition to 360 degrees of fingerprints (therefore at every angle) and an instant release system. The Aqara Smart Door Lock S2 being smart and connected to the WiFi network, can be connected to other gadgets coming from the same brand. For example you can configure that when the lock is unlocked (obviously from the outside), the lights inside the home automatically turn on, start the water heater or open the curtains with the appropriate device also connected via WiFi. As for safety, the Lock S2 uses a drum with C-class technology and threaded ring, there is a protection against drilling, impact and theft, that is what we expect from a lock for your door. The real peculiarity, however, is the warning system that starts when it senses that someone is trying to tamper with the lock, in that case starts an alarm directly from the lock and sends notifications that we will receive in the manufacturer's app. 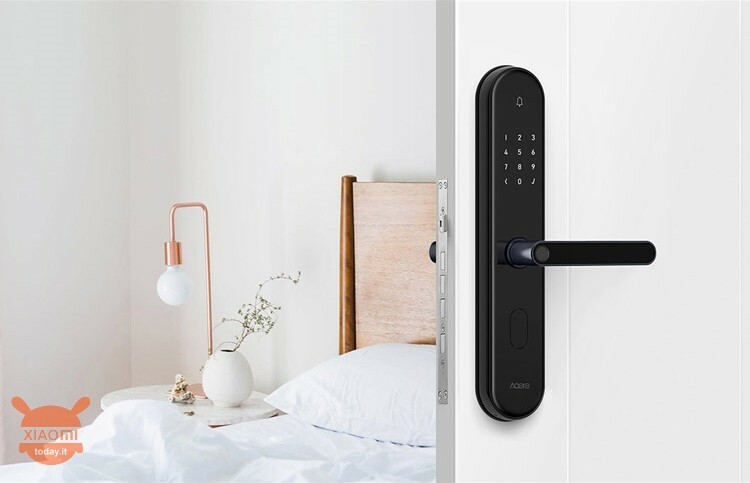 The Xiaomi Aqara Smart Door Lock S2 in titanium is now on sale in China at 1699 yuan, that is about 214 €; not many for such an interesting thing. What do you think about it? Would you ever put a smart lock in your front door? do you have the automatic door lock option when closing? without lifting the handle. in this model. automatic lock without having to lift the handle. ?